I’m heartsick about the election. Today I made a donation to Planned Parenthood.…I’d like to make my donation in honor of Mike Pence…If any of your readers are inclined to join me in honoring our VP-elect, they can donate at plannedparenthood.org (see here). Aside from the shear twistedness of donating to Planned Parenthood to soothe one’s misguided emotional pain, which we addressed in our podcast this week, pranking Mike Pence is just so incredibly childish. Naturally, main stream media, which typically ignores or spins actual news, was happy to report on this story (see here). What happened to Hillary supporters’ “love trumps hate” slogan? What happened to their “when they go low, we go high” quote that Hillary borrowed from Michelle Obama? 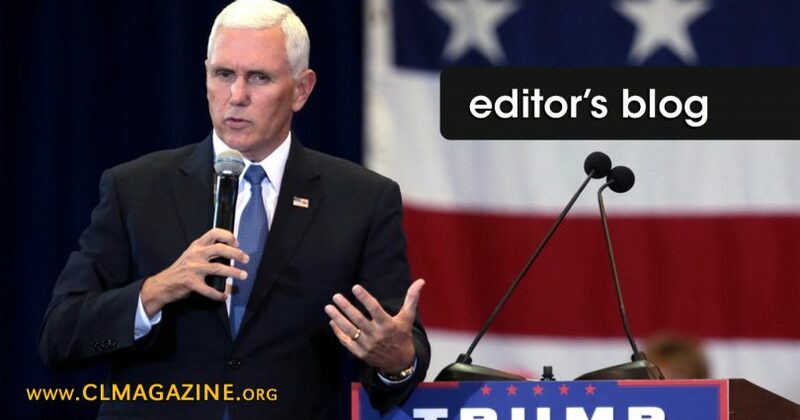 Pence has fought Planned Parenthood hard in Indiana and he will undoubtedly continue to do so in Washington…thus all the animosity from Planned Parenthood devotees. In reality, Mike Pence has gone high, and his detractors have gone low. Let Planned Parenthood supporters send all the donations in the world to their beloved organization. They can even donate in my name if they want. I would mural my walls with those donations, since they signify that we are one step closer to defunding Planned Parenthood of taxpayer money once and for all.